Home MTAANI NEWS Bodaboda rider killed, body dumped into a pit. The body of a bodaboda operator who went missing on last Saturday was discovered dumped in a pit at a forest in Muguga, Gatuanyaga in Thika East. The decomposing body of Moses Nduati was discovered by area residents who notified the chief. 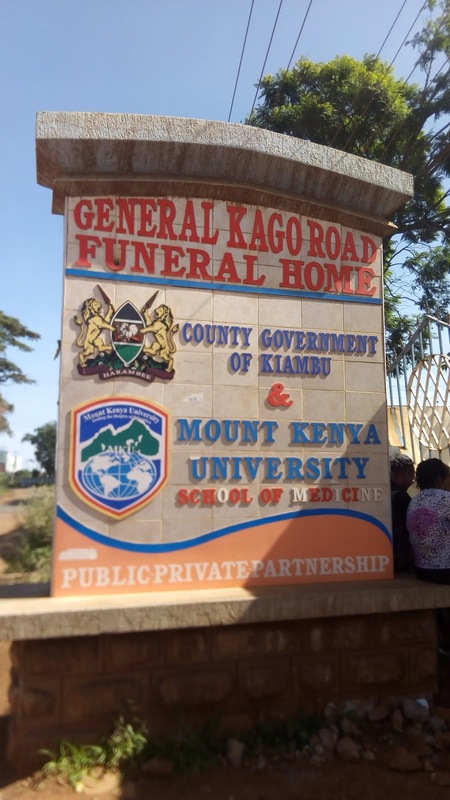 The deceased, who used to operate at Muguga, is said to have been hired by two men alleged to be his neighbours but made it to his destination. It is alleged that his assailants smashed his head with a big stone, dumped him in a pit and made away with his new motorbike. Area MCA Joseph Kahira who visited the scene gave the authorities a one week ultimatum to apprehend the culprits’ failure to which the residents would mobilise the area residents to demand justice. “If the police will not have apprehended the before Nduati's burial, then I shall lead the residents to go for them because we know them and their hideouts,"
The county legislator condemned the heinous act, blaming the locals for not exposing the bad elements within their midst to the authorities. "Those who murdered my son are known and we suspect that it might have been because of his motorbike which was still very new. It had not even been fitted with number plates," he said. Residents decried the state of insecurity in the area, describing it as crime prone with drugs being peddled at the nearby forest. However, these allegations were denied by Thika East OCPD Julius Kyumbule who assured the residents of their security saying the culprits would be nabbed very soon. Kyumbule called for patience and promised them that the police would do everything at their disposal to apprehend those responsible. The body of the deceased was taken to General Kago Road Funeral Home in Thika.